Mina Momeni wrote this post as a final project for Stacy Krueger-Hadfield’s Science Communication course at the University of Alabama at Birmingham. 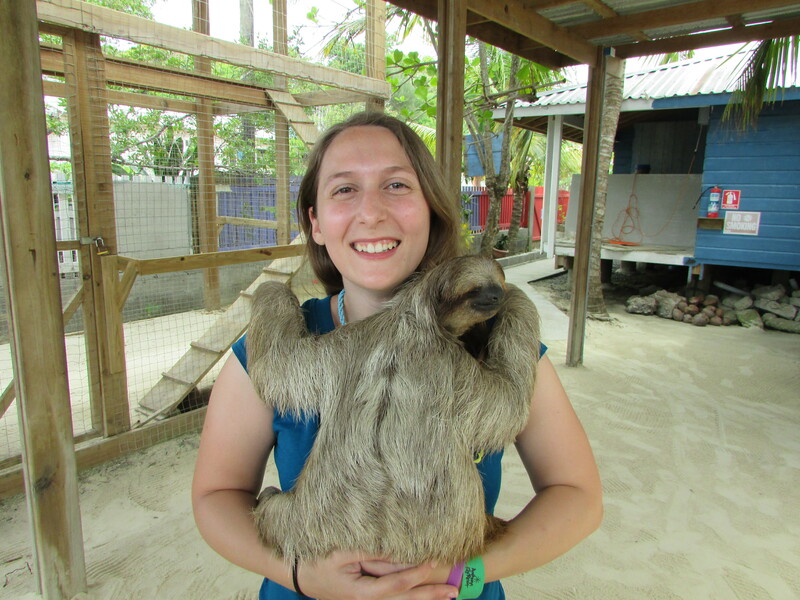 Mina earned her MS degree and is now a research technician at UAB in Dr. Nicole Riddle‘s lab. Her research focuses on HP1-Histone interactions and chromatin structure in Drosophila melanogaster. When she is not exploring the effects of overexpression of HP1B, she enjoys hiking, reading, and watching Netflix with my cat. To what degree can a novel variant persist? Typically, when trying to answer this question, scientists take into account the extent to which a mutation enhances an organism’s ability to reproduce. With the ‘sequencing revolution,’ it has become easier than ever to address this question at the molecular level and start to link phenotypes to genotypes. In an article published in Evolutionary Biology, Pascoal and a team of researchers (2016) used the cricket Teleogryllus oceanicus to examine how a mutation that alters wing structures on male crickets and stops them from making music affects the population. This has a major pro. Males are less likely to be found by parasites. But, it also has a major con … males have difficulty finding mates. While avoiding parasites is pretty handy, how is it that this mutation is able to carry on in the population if males have a hard time wooing the girl? To address this, the team first looked to prior research conducted in the fruit fly Drosophila melanogaster. In the fruit flies, there is a large body of research involving wing malformations, many of which are also seen in crickets (Blair et al, 2007). With this information, they compared the protein production of mutant and normal crickets. To do this, they extracted the RNA from twelve tissue samples (six biological replicates), and used RNA-seq to analyze the samples. Once they identified the proteins, they performed a GO analysis to see the biological implications of the proteins. 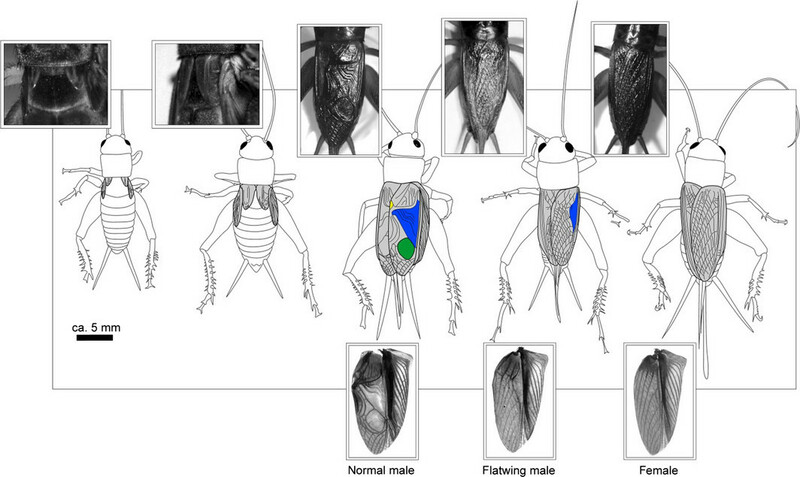 Additionally, they compared the expression differences between the crickets with the mutation and controls. Using these approaches, the team found that a number of pathways (such as hormone production, movement, and circadian rhythm) were directly or indirectly affected by this mutation. With such a wide variety of pathways affected, the team suggested that it was likely that this mutation was “hitch hiking” with genes vital to the cricket, and this in turn allowed for a more plastic response to their changing environment. Their results show the breadth of biological pathways involved in a seemingly isolated mutation. But why does this matter? It illustrates the need for systems biology research. This approach allows an understanding of how different biological systems within and between organisms interact with each other. In the case of the cricket, focusing on the mutation on more than just the cellular level showed the consequences of this mutation on multiple aspects of the cricket’s life (such as mating and survival). When examining biological fields, taking a step back and viewing the system as a whole, instead of scrutinizing each little part, helps us to see the forest for the trees. This view can be applied across all biological fields, ranging from genetics and cell biology to the evolution of large populations. Not only should geneticists pause and think of how their gene is affected in other cell types within the organism, but it should also be taken a step further to examine how this compares to other individuals and populations. Pascoal, S., et al. Rapid evolution and gene expression: a rapidly evolving Mendelian trait that silences field crickets has widespread effects on mRNA and protein expression. Journal of Evolutionary Biology, vol. 29, no. 6, 2016, pp. 1234–1246. Blair, S.S. 2007. Wing vein patterning in Drosophila and the analysis of intercellular signaling. Annual Review Cell Developmental Biology, vol 23, pp. 293–319. This entry was posted in adaptation, bioinformatics, blogging, evolution, genomics, mutation, natural history, Science Communication and tagged Evolution, mutation, scicomm, Science Communication, systems biology. Bookmark the permalink.